Proline will open their FUFA Big League second round account at home to Kitara FC on Thursday afternoon. Shafic Bisaso’s side were arguably the stand out performers of the first round, accumulating 23 points from 10 games and holding a two point caution atop the Rwenzori Group standings. Coming up against Kitara, they face a side that is also in contention for a spot in the top two of the Group as they currently occupy 5th with 15 points. However, Bisaso is optimistic his side will get the job done. “We have prepared well like we always do ahead of our games, said Bisaso ahead of the game. “It is our first game in the second round and we are not fully aware of the situation at our opponents but we know our qualities, so we will go out for all three points. “We finished the first round on top and we aim to continue in the same vein. About Kitara, Bisaso had this to say. “We expect Kitara to pose a serious threat as they are one of the sides competing at the top of the group but we are ready for them. Proline will be without Saidi Keni who opted to depart the club for StarTimes UPL side SC Villa. 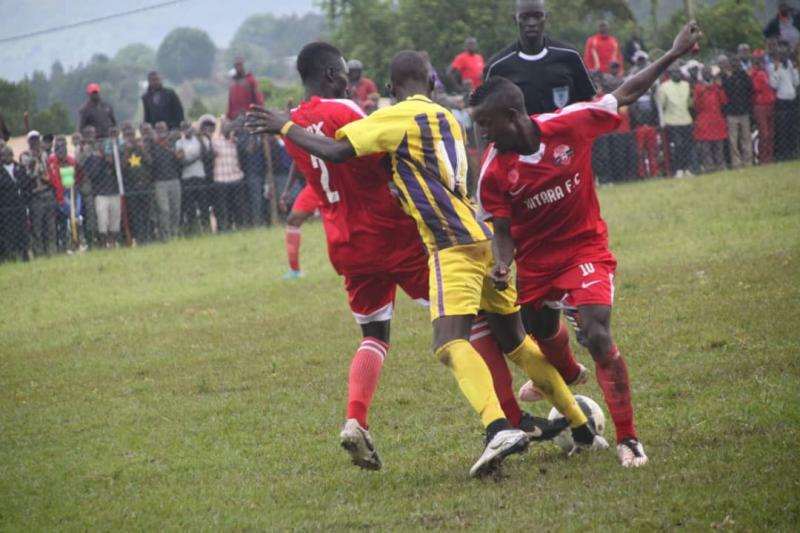 When Proline and Kitara faced off in the first round, they played out to a goalless draw. Elsewhere in the Rwenzori Group, 9th placed Kira United at host Kansai Plascon Namboole while Dove FC and Kabale Sharp tussle it out at the Kabale Municipal Stadium. In the Elgon Group, leaders Wakiso Giants host Amuka Bright Stars at Bugembe. Wakiso have made several acquisitions in the mid-season break with the latest being Norman Ojik from Police FC. Since the start of the current campaign, they have been among the favourites to win the division and don’t look like they will take the foot off the peddle anytime soon. At home to Amuka, they come up against a side that sits 7 points behind them and one they failed to defeat in the first round as they played out a 2-2 draw. In the other Rwenzori Group games, JMC Hippos host Bukedea Town Council at Kakindu, Entebbe entertain UPDF in Wankulukuku, while Light SS and Kataka lock horns at Amuria.